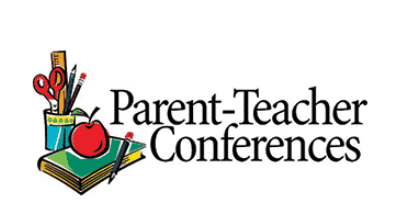 Parent Teacher Conferences will be by APPOINTMENT ONLY October 22nd and 23rd. Please go to the website below to sign up for an appointment with your student's teachers. You can print your students grades prior to attending conferences, but report cards will be available in Counseling during conferences. Information regarding PowerSchool can be found at the bottom of this page! Please click HERE to sign up for 10 minute conference times with your student's teachers! If you do not have internet access, please contact teachers directly by e-mail or phone message with 2 possible 10 minute time slots you would like to request. We look forward to speaking with you and partnering for your student’s academic success! Parents and Teachers have different reasons for initiating a conversation regarding student progress, but the ultimate goal is the same for both; and that is to support student success leading to high school graduation and college and career readiness! Summit High School recognizes the following formal opportunities where parents, teachers, and students can have conversations regarding academic progress and student well-being. Introductions and general orientation to parent and teacher expectations. Check In for brief update or exchange of ideas. Conversation addressing specific issues and formulation of a plan supporting student success in class. Conference by appointment at designated event or any time need arises. Requested by parent or teacher. Conversation involving parents, student, counselor and all student’s teachers to determine common strategies that will support student success in all classes and throughout the school day. SST – Student Study Team: Meeting scheduled by parent or counselor as the need arises when student is struggling in multiple classes, seeks more opportunities to extend/enrich learning, or to better meet behavioral expectations. Appointment scheduled as need arises. Not part of designated event. Specific conference nights are not the only opportunity to have important conversations surrounding student success. Check student progress regularly in Power School. Review with your student, assignments and scores earned and do contact a teacher by e-mail or phone whenever you identify a need to schedule a brief conference. · Advance preparation is expected. · A list of potential questions parents could ask can be found HERE. · Students have responsibility to monitor their own grades, track progress and be involved in conferences. Summit High School invites your active participation in supporting consistently strong academic student performance through an on-going teacher/student/family partnership, timely conversation and action. Pro-active and immediate action can make a world of difference in students seeing greater academic success! Some potential conversation starters with your student and/or your student's teacher can be found HERE! Thank you for partnering with us in support of your student(s)! We look forward to hearing from you! 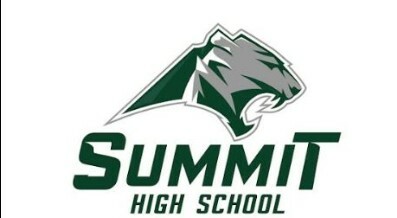 Your child can be successful at Summit High and in the future! PLT/PAJ can teach you how to support your student by using your time effectively and providing you with knowledge and resources. Working with local organizations, PLT/PAJ teaches parents how to successfully guide and support students through their educational experience, both at Summit High School and in the future. Questions? Contact Assistant Principal Tessa Rathjen at (970) 368-1133 or tessa.rathjen@summitk12.org.